Doris J. Warnken, age 92, of Wabasha, died Monday, March 18, 2019 at St. Elizabeth’s Health Care Center in Wabasha. She was born September 27, 1926 in Wabasha, one of eighteen children born to Henry John and Sophie (Bootz) Wodele. She was a graduate of St. Felix High School in Wabasha. She was united in marriage to Lester Warnken October 18, 1946 in Wabasha. The family moved to Hudson from Wabasha in 1963 where he was employed by Northern States Power Company. The couple moved back to Wabasha in 1984. Les died September 18, 2001. 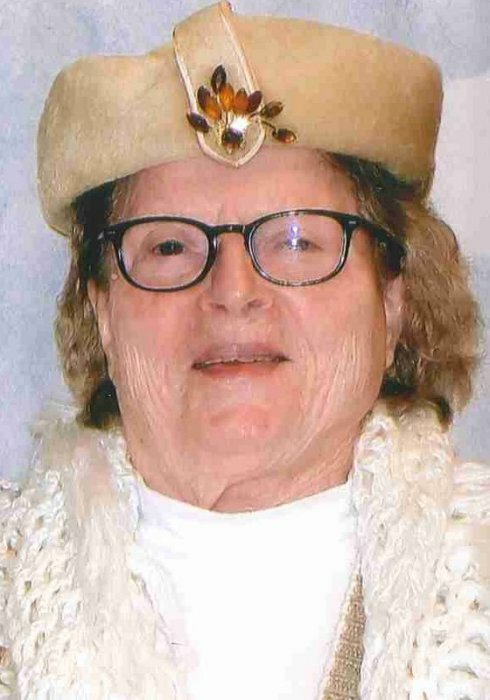 Doris was a member of St. Felix Catholic Church, the National Catholic Society of Foresters, and a member of both the Burkhardt-Roemer VFW and the Wabasha American Legion Auxiliaries. She enjoyed gardening and artwork. She is survived by sons and daughters-in-law, Gerald Warnken, Kenneth and Cheryl Warnken and Steven Warnken, all of Hudson, WI; daughter, Karen Warnken, Hudson, WI; nine grandchildren; nine great-grandchildren; sister, Beatrice Beck, Penn Valley, CA; sister-in-law, Anna Mae Wodele, Wabasha, MN; nieces and nephews and grand nieces and grand nephews. She was preceded in death by her husband, Les, parents, Henry and Sophie Wodele, five brothers, Harold, James, Clarence, Ralph and John Wodele; and eleven sisters, Harriet Wodele, Margaret Cox, Mabel Wildes, Dorine Knose, Ethel Furne, Mary Marx, Emily Ford, Clara Lund, Helen Zeimetz, Bernice Kondro and Catherine Whitcomb. A funeral service will be held on Friday, March 22, 2019 at 12:00 pm at Abbott Funeral Home in Wabasha with the Reverend Father Gregory Parrott officiating. Interment will follow at St. Felix Cemetery. Family and friends may call at the funeral home on Friday one hour before the service. Memorials are preferred to St. Elizabeth’s Community Development Foundation.